We create inspiring journeys in wild Scotland - sea kayaking on epic coastlines, hidden lochs and remote islands. Do you know Scotland's coast? - epic, world class coastline waiting to be explored. We think of our journeys as a deeper way of seeing Scotland, a way to really connect to the beauty and history of this place and its people. We like to think of Scotland's coast as an Elemental Landscape - so defined and enhanced by the raw power of the elements. But also with that feeling of being somewhere straightforward - where we can escape to the simplicity of watching the sun go down over the Hebrides - and feel at home. Expedition - we pack the kayaks with camping gear and food and head out along the coast - wild camping and paddling a continuous journey. OPEN These trips are open to all levels of experience.  The locations and route choice will be based on providing an enjoyable journey that is within the capabilities of a beginner but could be enjoyed by any level of kayaker. You want to have a good time exploring a wild place.  You are interested in developing some sea kayaking knowledge and skill. You are prepared for the physical and psychological demands of an adventure activity. Five days of sea kayaking and exploring the best that Arisaig and Ardnamurchan has to offer. 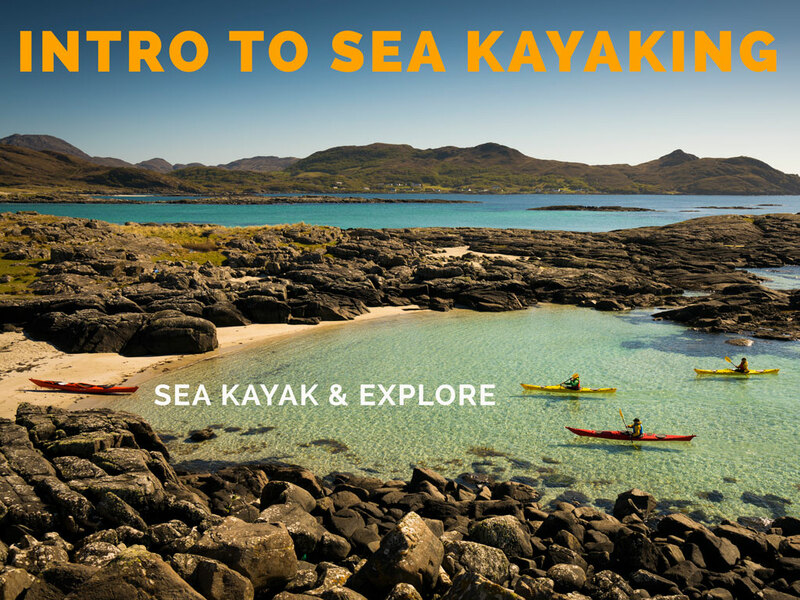 A great way to introduce yourself to sea kayaking and adventure on the West coast of Scotland. We will offer expert guidance and instruction in sea kayaking whilst journeying and exploring some beautiful sections of coastline. 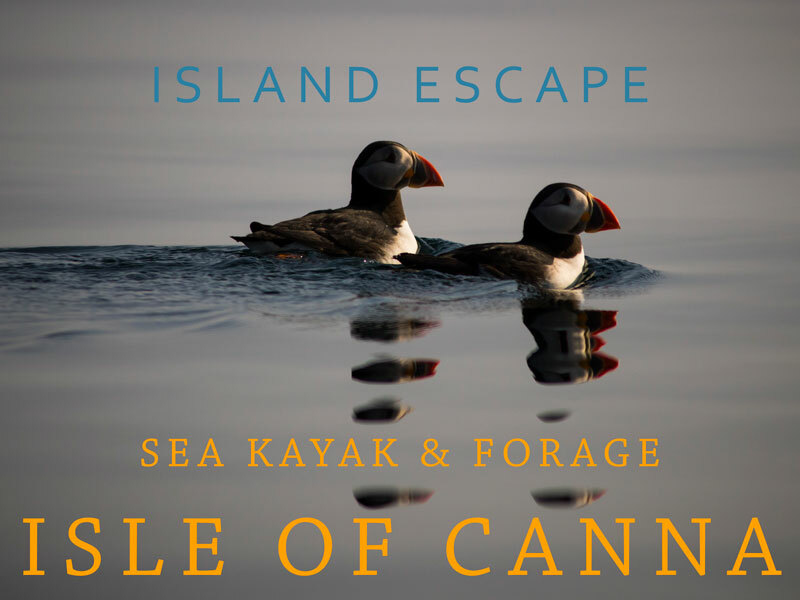 Our second collaboration with foraging expert Mark Williams sees us exploring the Isle of Canna, by sea kayak and on foot in search of wild food. 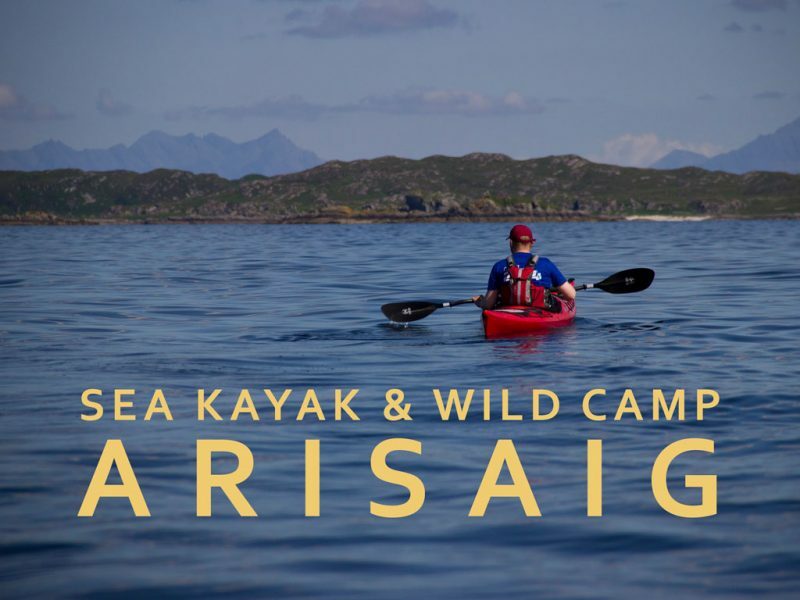 A course designed to offer the chance to develop your skills and knowledge whilst exploring some excellent coastline in the Arisaig area, longer trips or rougher water are both options to add extra challenge to this course. 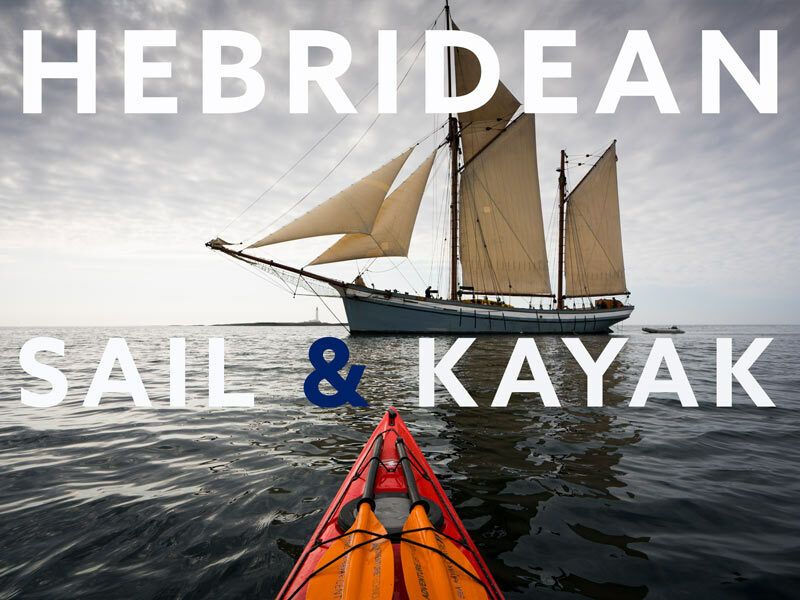 Journey through the Inner Hebrides on board the classic sailing vessel Irene, combining sailing with sea kayak trips and island exploration. 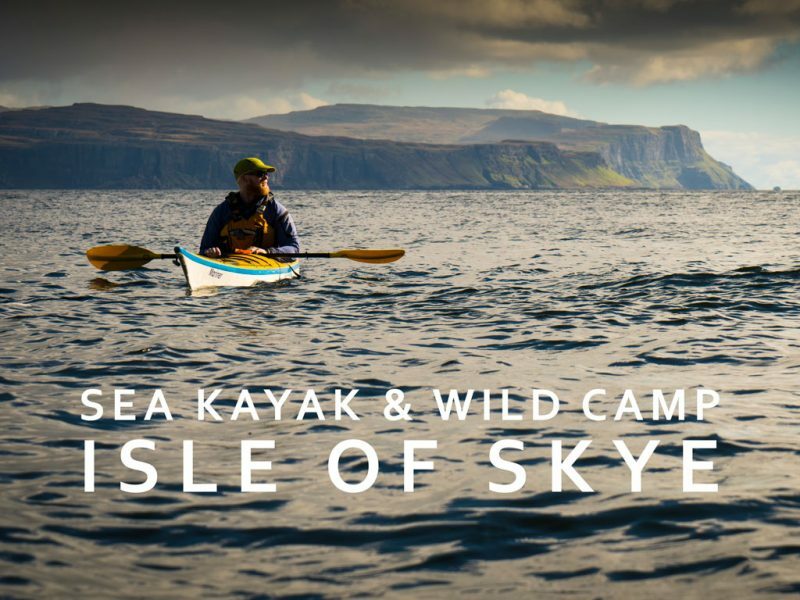 Explore Skye's hidden coast on a week of sea kayak day trips based from a comfortable and brilliantly situated lodge. CHALLENGE PLUS These trips are for those who have a good level of knowledge and experience gained from several expeditions or lots of days out in sea kayaks in varied conditions. These trips may feature some longer days of at least 25km (daily distances will vary), committing coastline, longer open crossings and rougher seas. You should be confident paddling 25km in a day, handling a sea kayak in force 4 winds and negotiating waves of 1m or more. You should have some knowledge and practice of rescues. Great if you want to build more advanced skills and experience. 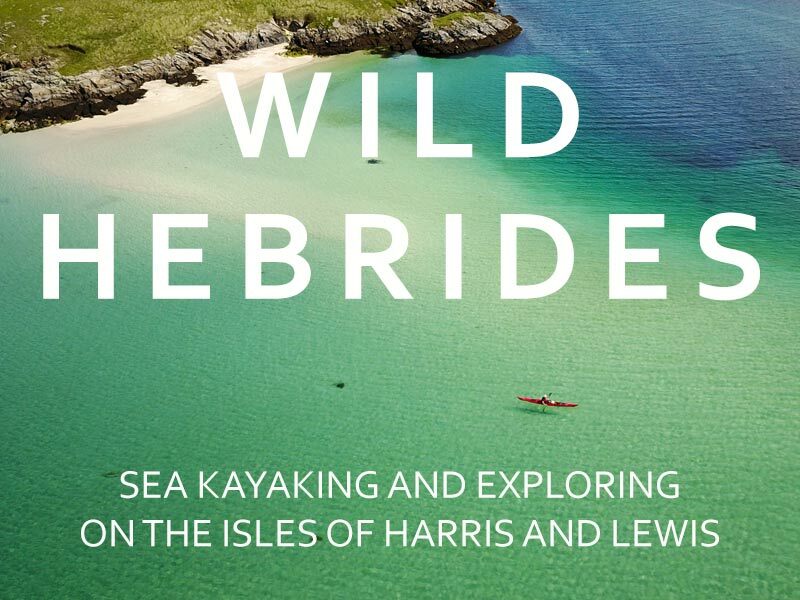 Wild islands with a wild coastline - come and join us in the Hebrides - we'll paddle some stunning sea kayak day trips and explore the islands from a comfortable base camp. ADVANCED For experienced and knowledgeable sea kayakers. Suited to those who paddle on a regular basis, have a good level of sea kayaking fitness and have experience in more challenging conditions such as surf and tidal races. Check the individual trip descriptions for more information. 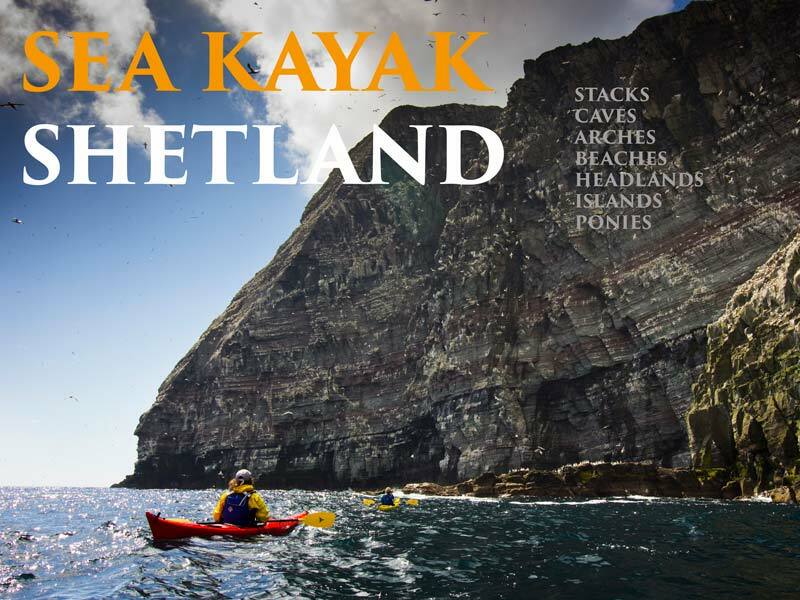 A journey through the Shetland Isles, exploring island groups famous for sea kayaking, our most challenging trip. Sleep under the stars above a remote beach after journeying there in a sea kayak. Simple, enjoyable sea kayaking with great food and company. 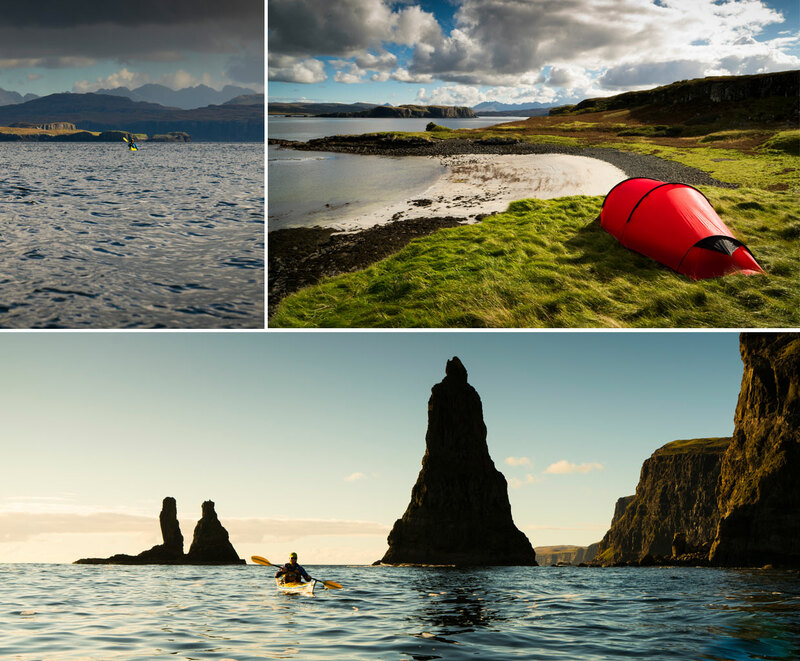 A weekend expedition, exploring the coastline of the Isle of Skye by sea kayak. This offers a step up from our Arisaig trip and offers the chance for a greater challenge and a superb journey. A four day expedition, exploring the spectacular coastline of the North West Highlands. We are very excited to be collaborating with Mark Williams - one of Scotland's leading wild food experts. 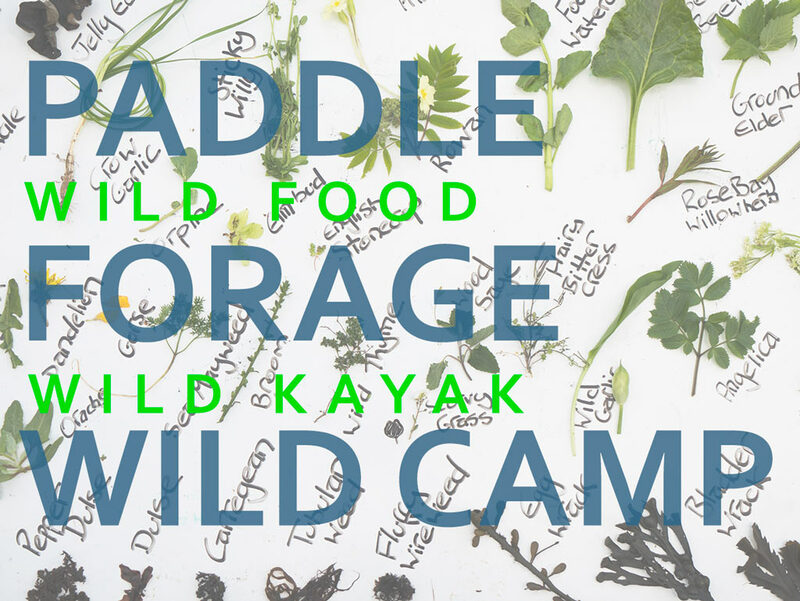 Journey by sea kayak to remote beaches where we'll explore on foot, learning about and harvesting wild food, ready to paddle on and prepare an evening feast at our chosen wild camp. Explore one of Scotland's best areas for sea kayaking, with wildlife, remote beaches, hidden sea lochs and a stunning mountain backdrop. 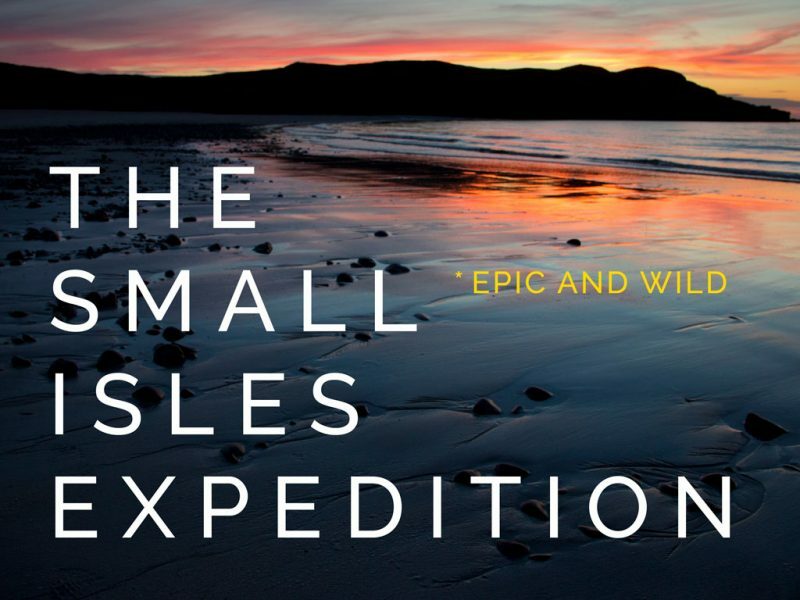 A six day expedition to the Small Isles (Eigg, Muck, Rum and Canna). An island group of stunning diversity where each new island we visit offers new landscapes, wildlife and people. TRIP CALENDAR If you would prefer to view our trips listed by date then we have a full calendar view of our scheduled trips.